The uncertainty of travel is definitely something that sparks our wanderlust and makes it exciting. But recent terrorist attacks and political events have given a new meaning to travelling uncertainty, and have caused concerns, confusion and fear, even among the most seasoned travellers. It’s a sad reality, but acts of terrorism continue to be seen across the globe, from the airport bombing in Brussels to the mass killings in Nice, and attempted military coup in Turkey. Along with these attacks, we’re also hearing about major health scares including the Zika virus and how it impacts pregnant women; and weather alerts like the recent Tropical Storm Earl in the Caribbean seem to be increasing too. In light of these events, we need to be more alert than ever, and travel advisories issued by the Canadian Government can help us determine the risk for each destination. Unsure of how unforeseen events can affect your travel plans? Read on to learn more about Canadian travel advisories, how they impact your travel insurance coverage and how you can use them to protect yourself if something goes awry. What’s a travel advisory and why is it important? Advice and safety precautions provided by the Canadian Government help you analyze the risk of travelling to your planned destination, so you’re better prepared for your trip. The two highest risk levels “avoid non-essential travel” and “avoid all travel” can have implications on your travel insurance coverage, and should be taken more seriously—they suggest major concerns for Canadians. 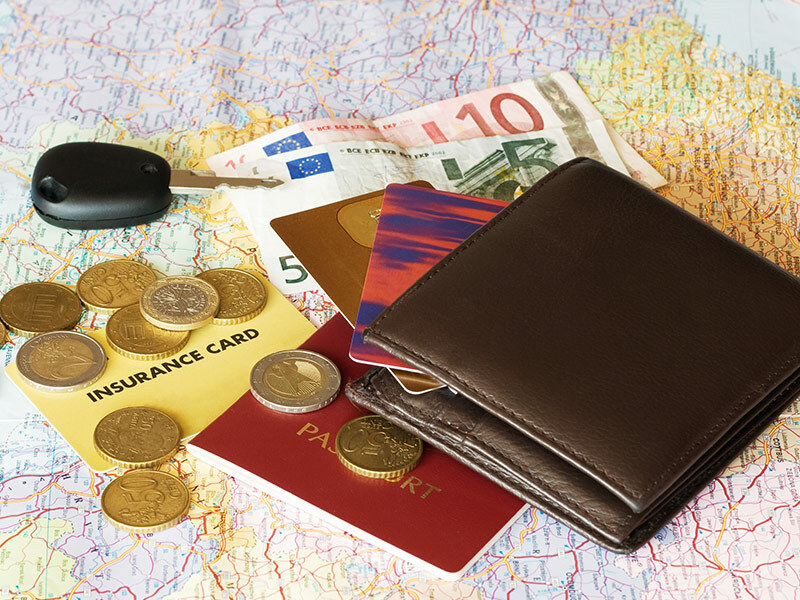 While interpreting travel advisories can be confusing, determining what your travel insurance covers can be even more intimidating. Should I stay? Should I cancel my trip? 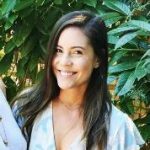 What benefits should I look for in my insurance plan? 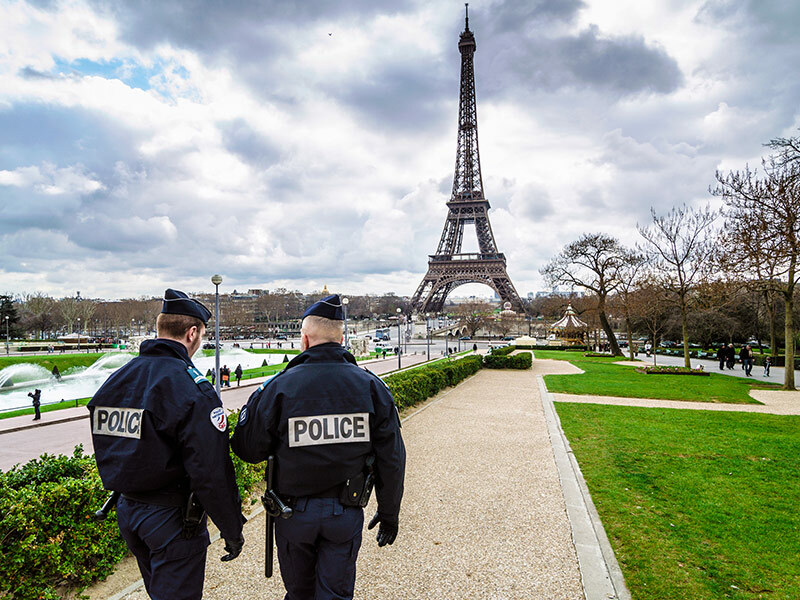 With looming threats of terrorism in Europe, be sure to protect yourself with adequate travel insurance coverage before your departure. While sightseeing around the Eiffel Tower, Ranvir is injured in a terrorist attack. Since he bought Emergency Medical Insurance before he left, his policy will cover his medical costs as long as there was no travel advisory in place when he left Canada, and he wasn’t participating in or voluntarily exposing himself to the attack. Sally and Peter have booked their trip to Turkey and have bought Trip Cancellation & Trip Interruption coverage with their Emergency Medical Insurance. Two days before they’re set to leave, a terrorist attack takes place in Turkey, and the Canadian government issues an official travel advisory to “avoid all travel”. The advisory is still in place on their departure date, so their coverage will cover the cost of cancelling their trip. Leila is travelling alone in Brussels, and unfortunately, there is a terrorist attack while she’s there. She still has a week left, but the Canadian government issues an official travel advisory to “avoid non-essential travel” to Belgium. Leila doesn’t feel safe, and wants to come home early. As long as she bought Trip Cancellation & Trip Interruption Insurance (or even just Trip Interruption Insurance) before her departure, and there was no travel advisory in place when she left Canada, she can return home early while the travel advisory’s still in place. Her travel insurance will cover the cost of her trip home. Here are a few more scenarios to help you learn more about how travel insurance covers terrorism and war. If you’re travelling in hurricane season, read our tips for staying covered while travelling to at-risk hurricane zones. 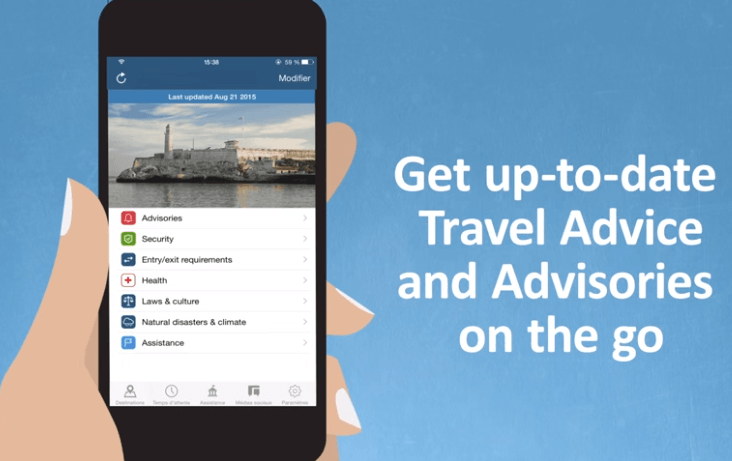 Refer to the travel advisories page on the government site, or download the Government of Canada’s Travel Smart App for up-to-date travel advice and information on your smartphone. The app has information for 200+ destinations and includes advisories, health updates and even emergency contact numbers. Check destination-specific travel warnings before booking your trip and a few days before leaving. To see how the latest advisories impact your TuGo Travel Insurance policy, take a look at our Canadian Travel Advisories section. To make sure you don’t miss any updates, it’s best to set Google Alerts for your next destination so you’re informed of any important political events or natural disasters leading up to your departure and during your trip. You can use keywords like ‘destination + travel’ or ‘Canadian travel advisory’ for a specific location. Keep your loved ones at home informed of your travel plans and print them a copy of your travel itinerary. The itinerary should also include the contact details of your hotel and travel insurance provider just in case they need to reach you for any emergencies back home. When travelling abroad, it’s important to carry your ID and passport with you at all times. You should also keep your travel insurance providers’ information with you on a card that you can easily fit into your wallet to help you in case of any accidents or injuries. Along with your ID and passport, keep your insurance providers’ information handy for easy access. For those of you who are savvy travellers, create back-up documents by scanning important information and emailing the files to yourself in case of theft or loss. Whether you’re travelling to the US or anywhere outside of North America, it’s always a good idea to have the Canadian Consulate contact information in tow for your destination. The Canadian consular services help travellers abroad with a number of medical emergencies, legal issues, lost or stolen passports and contacting friends or relatives back home. You can also register with Global Affairs Canada so the government will know your whereabouts if something goes wrong, or can inform you if there’s an emergency back home. Wherever you’re planning on travelling, don’t forget to protect yourself with Emergency Medical insurance and Trip Cancellation & Trip Interruption coverage in case something goes awry before or during your trip. Read your policy carefully and ask your insurance provider or broker about coverage specific to your destination in case you need to cancel your trip or return home early. Lastly, be aware of when their travel insurance policy actually expires. If you plan to extend your trip, make sure you’re still covered by your policy before making your decision. Have more questions about how terrorism, unforeseen events or travel advisories impact travel insurance? Feel free to leave a comment below. Hello. If one purchases TuGo emergency medical insurance, for a country that currently has a travel warning against non-essential travel, and incurs a medical emergency unrelated to the travel warning, would the person still normally be covered? Thank you for your query. TuGo’s emergency medical insurance protects you from unexpected illnesses or injuries while you’re away from home. •	If the travel advisory is issued after the date you leave for your trip, your TuGo travel insurance policy will cover you normally for any unforeseen event. •	If the travel advisory is issued before the date you leave for your trip, TuGo will cover any emergency sickness or injury related expenses that are completely unrelated to the reason for the travel advisory/warning. I hope this answers your query! Feel free to reach out to us if you have any other questions. You can also connect with our customer service team toll-free at 1-855-929-8846 or by email at info@tugo.com.